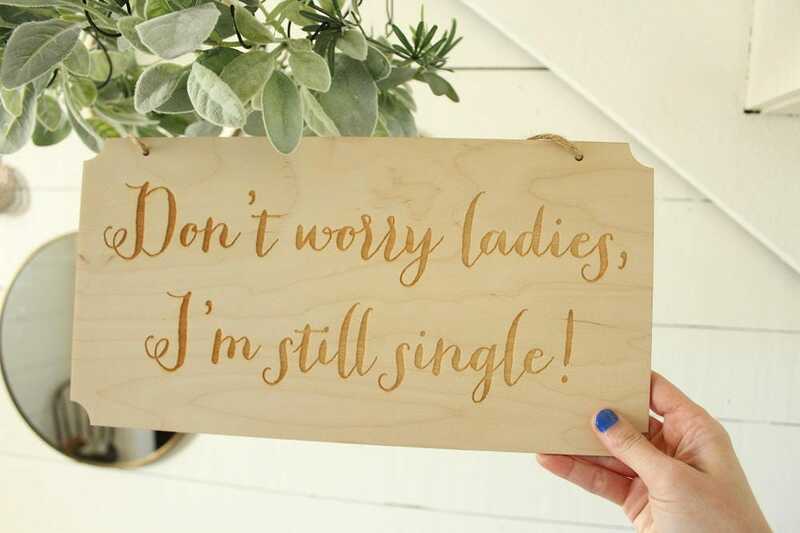 Laser Engraved 'Don't worry ladies I'm still single' sign. 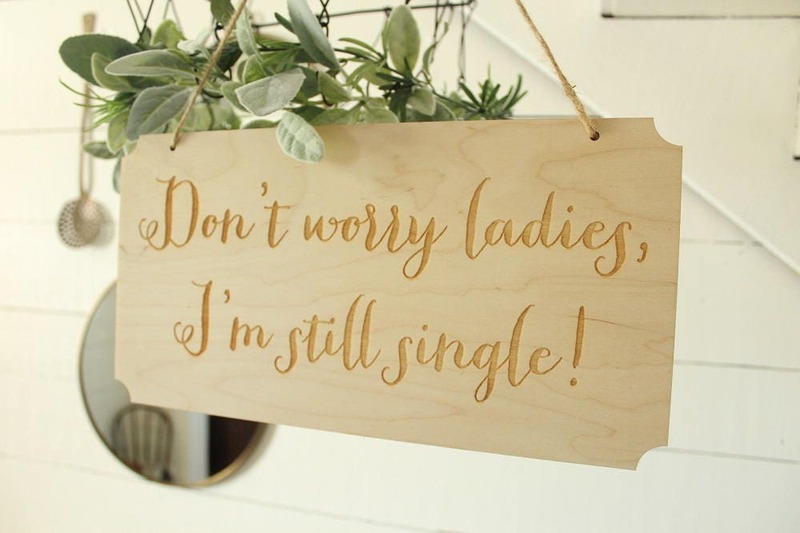 We can also customize the text on the sign if desired. 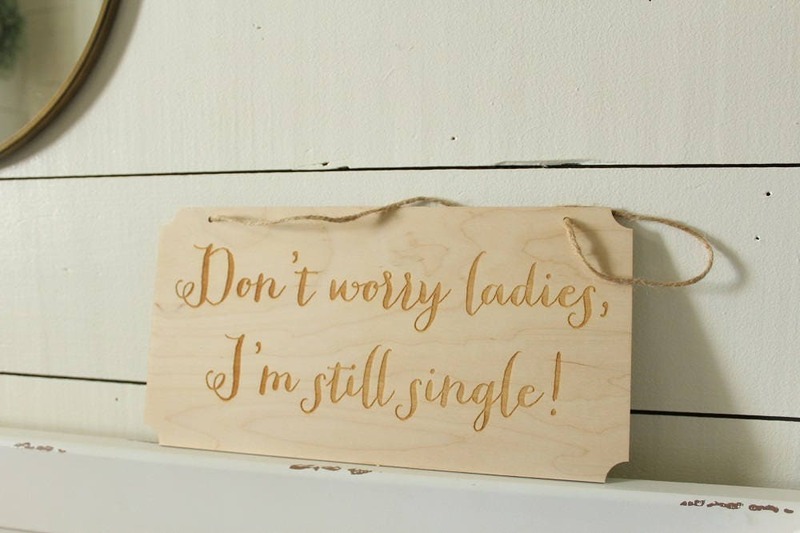 The sign measures 14" long x 7.25" high x 1/8" thick engraved onto baltic birch wood.